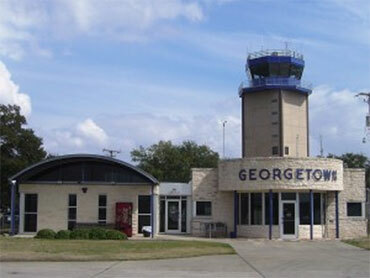 NEW YORK (CBS) Federal authorities have now cleared the Georgetown Airport outside of Austin where earlier the FBI had feared Joe Stack left a bomb. Photo: Georgetown Airport near Austin. CBS affiliate KEYE reported that a note was found in Joseph Andrew Stack's car which indicated a bomb was at the airport. The FBI told CBS News that they took the threat seriously and had sent bomb techs to assess the situation. That search has now been called off. 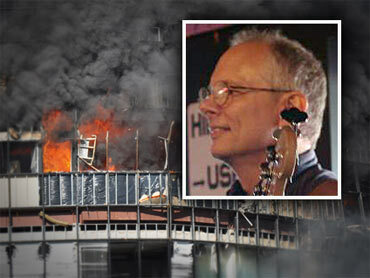 The FBI believes Stack burned down his own house about 6 miles from the airport Thursday and crashed a plane into the Echelon building in Austin where nearly 200 IRS employees work. Stack left a disturbing suicide note on a Web page two days ago in which he ranted against the IRS, the Catholic Church, tax loopholes, bailouts and his own sorry state of affairs. "Well, Mr. Big Brother IRS man, let's try something different; take my pound of flesh and sleep well, the page said. He was furious with politicians of all stripes and outraged at the IRS, which he believed unfairly gave tax loopholes to big corporations and the Catholic Church, but not regular Americans.